Implementation of RERA Act [Real Estate (Regulations & Development) Act, 2016], sent a sense of relief and accountability in the real estate industry. However, it is yet to take its pace to function properly. Haryana, being a leading State for Real Estate Development, lagging behind in the implementation of all aspect of RERA functionary. It is going through major changes. 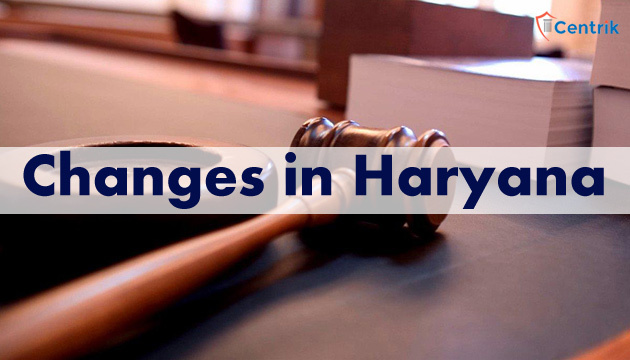 We are sharing some of the important change in the RERA in Haryana, which may have direct bearing on your project or property in Haryana. 1. RERA Gurugram – RERA Gurugram would have its jurisdiction only for project, agent and complaint relating to the projects located in the District of Gurugram, Haryana. Mr. KK Khandelwal has been appointed as Chairman to the RERA Gurugram. As mandated, at-least 2 whole time members, apart from Chairman, to be appointed in the RERA authority. Rest 2 members have not been appointed till date. The RERA Gurugram has started functioning to accept complaints and registration applications. The form and procedure for filing RERA complaint by buyers has been changed to “Performa – B”* for proper adjudication of complaints. The revised regulations for RERA registration of the project and its compliance are expected to be announced soon. The revised regulations (online of Panchkula RERA) are expected to require every registered project to submit revised files in the revised format with revised guidelines to the RERA authority. Mr. Rajan Gupta has been appointed as Chairman to the RERA Panchkula. The RERA Panchkula has already started accepting RERA registration of Project and RERA complaint. Separate regulations for RERA registration of projects have been notified on 09/02/2018 as “The Haryana Real Estate Authority, Panchkula (Registration of Projects) Regulations, 2018” which prescribe the revised REP-1 and other regulation for registration of project. The above regulations have been made applicable even to already registered project. Notices are being served to already RERA registered projects to submit fresh application in revised form with revised guidelines. Separate regulations for adjudication/redressal of complaints have been notified as “The Haryana Real Estate Authority, Panchkula (Adjudication of Complaints) Regulations, 2018” which prescribe the revised format of filing complaints and other guidelines including revised format and affidavits. Separate regulations for proper functioning of RERA authority have been notified as “The Haryana Real Estate Authority, Panchkula (General) Regulations, 2018” which prescribe the regulations for proper functioning of authority and its functions. The form and requirement for Real estate agent and project registration has been changed. The hearings for the complaints filed are yet to start in both the authorities. Due to non-availability of online facility, the details of registered projects, agents and complaints. The guidelines for the quarterly compliance for the projects are yet to come. No format and list of compliances has been prescribed. Conclusion – the RERA Authority in Haryana is going to major changes and we expect a proper way of working in near future. The project, promoter, agent and buyers are advised to keep a close watch on the development about Haryana RERA.